Hey everybody! I’m SO sorry I didn’t update my blog for a while but I just had too much stuff going on. But I finally decided to do a special giveaway – contest! And it is really easy to participate in! As you may know I started offering hand painted necklaces in my shop a while ago and I thought about custom orders! Wouldn’t it be great, if everyone had his own special necklace that no one else has? 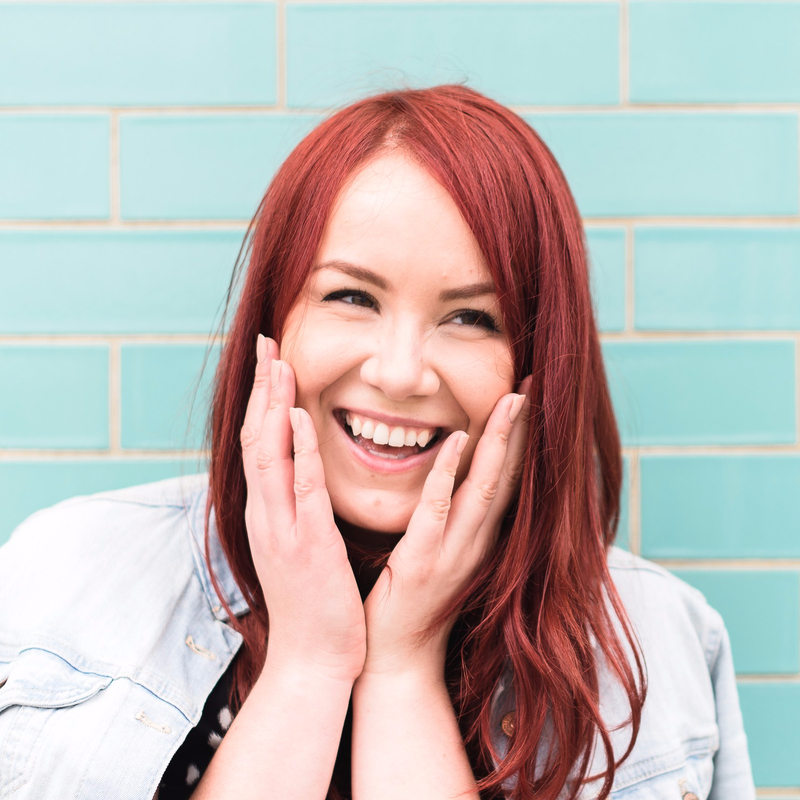 And for this reason I decided to do a special contest for you to introduce you to my new custom service in my shop! 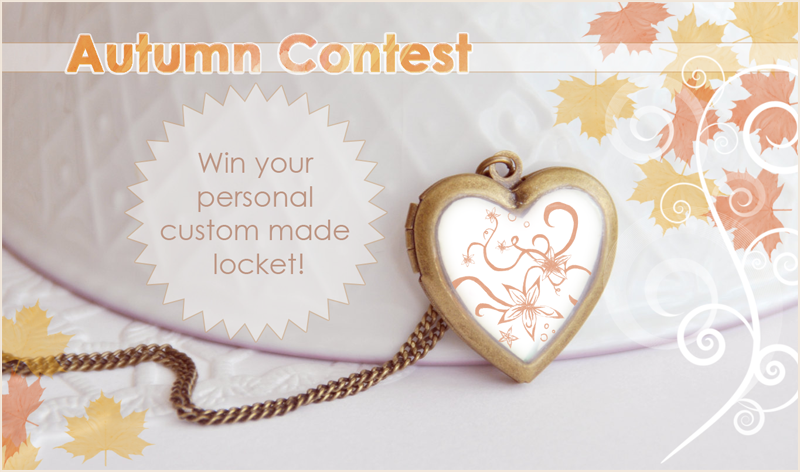 So I want to know, if you got to have your own custom designed locket, what would you like? The winner will get his own special locket for free! I will use watercolours to create the painting and seal it with a clear coat of glossy resin. 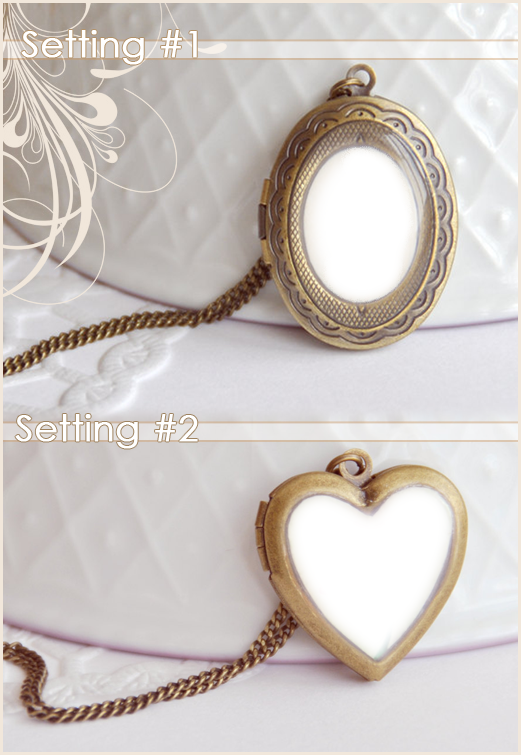 These lockets are about 2,2 – 3,2 cm/ 0,9″ – 1,1“. So actually really small but elegant and cute! You can leave a comment on this entry or send me an e-mail (makoccinos[at]gmail.com) and tell me which setting you prefer (#1 or #2) and what motif you would like to have on your own locket and why! Maybe there is a nice story behind it? And feel free to add a link to a reference picture if you have a specific idea in mind. This contest is open worldwide! Just don’t forget to include your e-mail address! This contest ends Wednesday, November 16, 2011 9pm CET. Thursday, November 18th, my boyfriend and I will choose the winner with the best idea and announce it here on Saturday, November 19th! Sorry, forgot to include my email in the last post. Don't count this as another entry. Both settings are gorgeous!! I think I would pick setting #1. One of my sweet mentors was 38 weeks pregnant when she realized she had not felt her baby moving in 2 days. She went to the doctor and discovered that her baby girl, Aislynn, died just weeks before her due date. I would like to create something for her as a way of telling her that people DO care about her feelings and as a momento for her to remember her sweet little baby girl. She is creating a butterfly garden for Aislynn, so maybe the design could include butterflies and angels? I would love setting #2 with a book motif! I love books, and that would be obvious with a locket like that! My mom and sister would love it.